The Blue Shield of California Foundation (BSCF), like many safety-net providers and payers, recognized the necessity for new approaches to meeting the complex needs of an expanding Medicaid population. 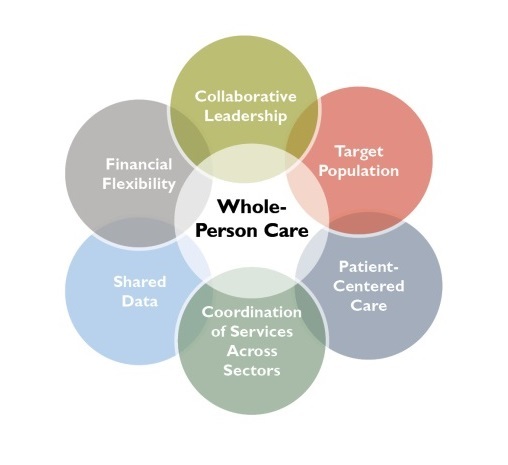 With BSCF support, JSI and its partners - the California Association of Public Hospitals and Health Systems (CAPH) and Safety Net Institute - developed the WPC framework: an approach to systematically integrating physical health, behavioral health, and social services in order to improve health and well-being through more effective care and more efficient use of resources. California’s new waiver offers counties the opportunity to leverage $1.5 billion in federal funds to implement five-year Whole-Person Care pilots. This waiver demonstration will be one of the earliest, large-scale tests within publicly financed health systems to create coordinated systems of care, and as such will be closely watched. JSI continues to support local and statewide stakeholders in successfully advancing WPC, both through the waiver and other mechanisms, and will look to identify and translate learnings from the forthcoming pilot program to inform implementation, replication, and future policy.